I have just been asked to pass on some compliments on the service he has received. I took a call at 11.30 this morning from a customer who has recently lost his mother and his dad wanted to sell as his home held to many memories. His father wanted to get the house on the market ASAP for the above reason. He was concerned about how long it would take after meeting the Estate Agent yesterday who informed him it would take USUALLY 7 days to get the required documentation. With your help we have managed to do this in 4 hours & 5minutes. To say the Estate Agent was surprised to receive your email with the assessment is an understatement. So from the seller & his family please accept a well done and a pat on the back from me. 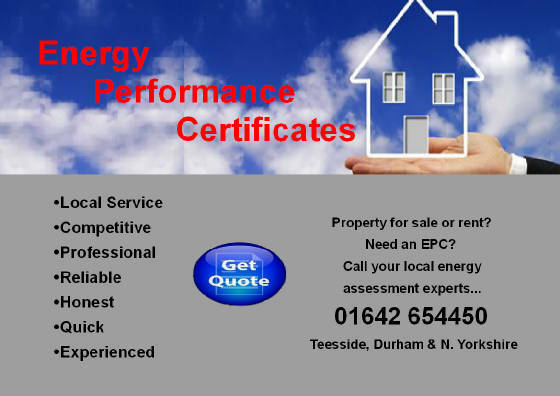 Got the energy certificate thank you. Just wanted to say what a great service you provide, will recommend you to my family, friends and colleagues. Thank you for uploading the supporting documents for the EPC you completed for the above property. I have now conducted a desk top audit of the report and I am pleased to advise that for the criteria checked, your report satisfies our requirements. I would also like to mention that I found your records, clear concise and easy to follow, thank you.